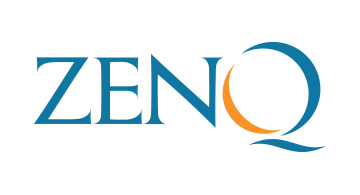 ZenQ is a global leader in Pure-play software testing services and is SOC II compliant and ISO 27001:2013 certified. We are a trusted testing partner for over 75+ clients over the past 14 years, in supporting their mission-critical IT Applications. Our 400+ skilled and experienced QA professionals help our clients through state-of-the-art infrastructure, dedicated Centres of Excellence and Research Labs. Backed by strong team of SMEs with extensive experience in BFSI vertical, we provide tailored testing services for - Payments & Cards, e-Wallets, Lending platforms, Banking platforms such Core Banking, Corporate Banking, Wealth Management etc., Core Insurance platforms & Auxiliary solutions (Insurance Tech) and Investment & Portfolio management platforms (Institutional and Personal). · Core Testing Services: Functional & Regression Testing, Compatibility Testing, Usability Testing, User Acceptance Testing etc. · Test Automation: Framework design/setup, Test Scripts Development and Maintenance, Integration to CI-CD process etc. · Blockchain & IoT: Implementation testing, Functional & Regression, Performance and Security Testing. · Mobile Apps Testing: Mobile Apps Functionality Testing, Cross-device/Cross-browser Compatibility Testing, Mobile Platform specific tests etc. · Performance and Security Testing.